we guarantee accuracy levels of between 98% -100%. service typically costs 55% - 67% below in house services. ensures that only authorised staff view files they are authorised to see. Anywhere Between 30 mins – 24 hrs once agreed. public holidays, we can accommodate any structure. 1. We will either establish a dedicated secure connection between your practice and our offices, or you can simply log onto our web based portal. 2. Dictate as per your usual practice. 3. Our team will transcribe the voice file conforming with all predetermined parameters. 4. You will be notified automatically once the file has been successfully completed. We know you’re busy and have report deadlines, we also know that keeping up with the work is sometimes made more challenging with staff sickness, public holiday, evening and weekend staff rostering all of which can have an impact on both the output capability of your team as well as the financial bottom line. At Jivescribe we understand that our overall service has to be accurate, secure and fast, most importantly it also has to be cost effective. 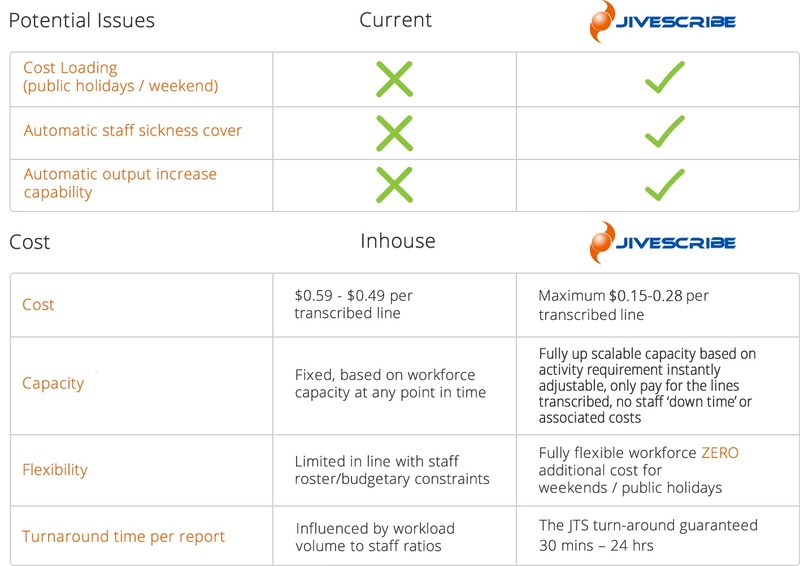 With Jivescribe, you only pay for the reports delivered, staff sickness, public holiday wage loading or staff rostering can be a thing of the past. You will pay the same single cost, for every time typed, Irrespective of when that occurs. Staff sickness, rostering or public holiday work is catered for from our pool of highly trained specialists. We work hard to ensure that our systems and people utilise the latest technology available enabling us to provide you with an effective, consistent alternative to (or supplement to,) your existing service. Please see the comparison page for indicative pricing, contact us for more information. Generally standard office and home computing equipment is suitable. You will need some kind of dictation device to record your audio files, and access to the internet through a web browser to upload your files. Yes – installation and training of your staff is provided as part of the Service Level Agreement. Login to our customer control panel, then click on the ‘Add New’ link under the ‘Dictations’ tab. 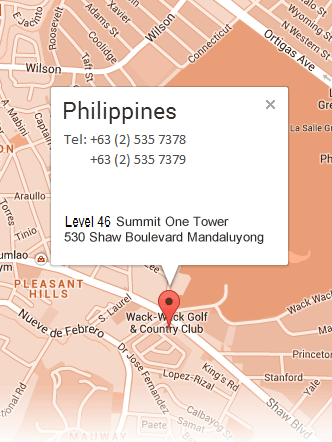 Login to our customer control panel, then click on the ‘Transcriptions’ link. We offer 30 mins through to 24 hour turn around times, it depends on your requirements. You will be notified by email or SMS when your transcriptions are ready. You can also login to the customer control panel at anytime to see the progress of each report. Extremely secure, our system uses SSL (Secure Sockets Layer) and encryption technologies to ensure your data is safe. We are compliant with NPP (National Privacy Principles). Separate confidentiality agreements can be provided for your organisation. While every effort is made to ensure accuracy, we cannot guarantee that transcriptions will be error free. Our transcriptionists consistently achieve 99% accuracy rate and we have thorough quality assurance measures in place, including editors. If you are unsatisfied with the quality of the report, you will not be charged. You will receive an itemised invoiced via email, usually on a monthly basis. Our payment terms are 14 days. We accept cheque, direct deposit, and creditcard. Jivescribe IT specialists provide seamless integration into your current practice/Hospital/workplace software, with a proven track record across numerous software environments. TAT's on Urgent Reports requiring TAT's inside 30 minutes can be provided. We offer a FREE TRIAL of our services, please either fill in the online form below, or contact one of our staff using the office locations above. Interested to work as a transcriptionist? Please click here for more info.